I attended the second of the INFuture conferences, organised by the Department of Information Sciences at the University of Zagreb, Croatia, in early November. The general theme of the conference series is ‘The Future of Information Sciences’, and the focus for this conference was ‘Digital Resources and Knowledge Sharing’. By comparison with the first of the conferences, held two years ago, this one had many more papers, with parallel sessions the norm, and a larger and much more internationally diverse audience. 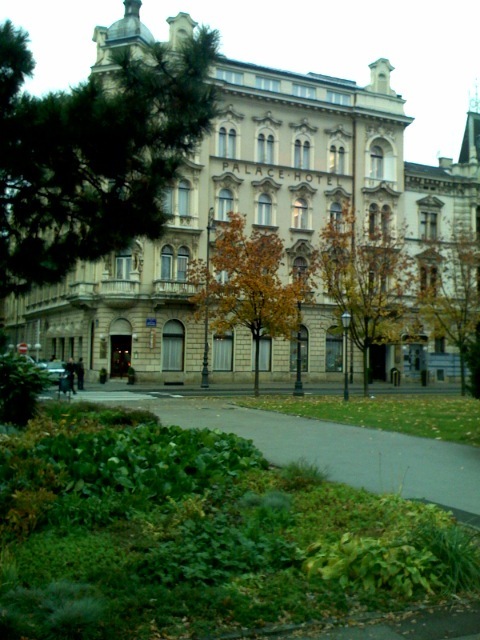 Most of the conference was held in the renovated grandeur of the Palace Hotel, set in the ‘Green Horseshoe’ of parks in Central Zagreb. 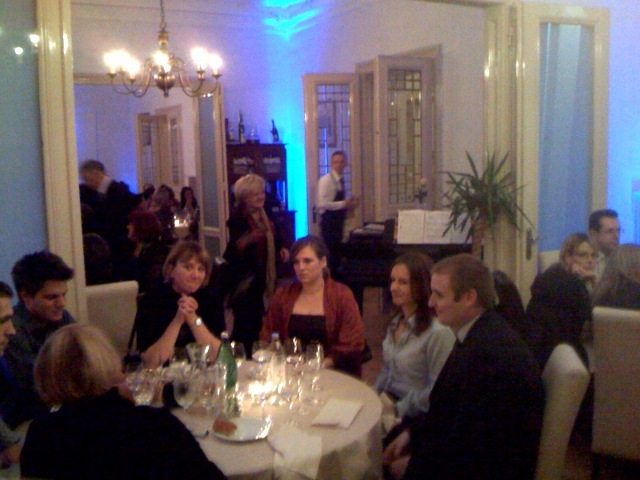 As before, the organisers had arranged a nice social programme, culminating in the conference dinner amid the Art Deco surroundings of the Zagreb journalists’ club. 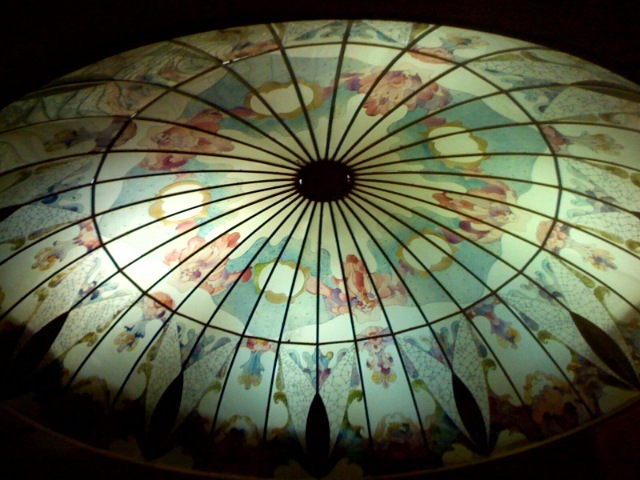 A number of presentations particularly interested me, across the whole range of topics covered. A presentation by Steven Krauwer on the development of the CLARIN project, which aims to promote language tools within the EU, looked forward to retrieval systems which could answer questions such as: find a video clip of a person speaking German with a Spanish accent; find articles on a specific topic from a French newspaper, and summarise them in Polish; find negative remarks about football in the proceedings of the German Parliament. We are not there yet, but progress is being made. Kia Ng, from Leeds University, gave a fascinating talk on the i-Maestro system for recording the whole of a cultural performance, in multimedia form. He gave examples for the recording of dance, conducting, performance art, and violin playing. In the latter, as well as the image of the player, and the sound recording, the system recorded the detailed movements of the bow and the pressure on each string. While this was designed mainly as a teaching aid, it is potentially searchable by many parameters, and could in principle be used to recreate a performance…. this way to the Star Trek Holodeck. A presentation by Senka Drobac of the Ruder Boskovic Institute in Zagreb outlined the EU’s Dariah project, aimed at building an ICT infrastructure to support the arts and cultural sector, in the same way that grid computing is supporting the physical and biological sciences. This particular perspective showed how such initiatives can be valuable in smaller countries such as Croatia. I also liked the contribution of the UK information consultant, Bob Bater. Speaking generally of knowledge management issues, he reminded us that, according to a study by the UK National Archives, 80% of information lives ‘in the wild’: in unstructured and uncatalogued environments such as emails, blogs, wikis, and twitter messages. Bob also reminded us that the 17th century English savant Francis Bacon is often quoted as saying that “Knowledge is power”, whereas what he actually said that “But mere knowledge is not power: it is only possibility. Action is power; and its highest manifestation is when it is directed by knowledge”. Not really the same thing at all. A very good conference overall, and the organisers should feel pleased with themselves. The full materials will be available soon on the conference website.